If you live in the south, chances are you’re more than familiar with pimento cheese. If you’re not familiar, Wikipedia describes it here as “a common food preparation in the Southern United States, a spread or relish made with cheese. 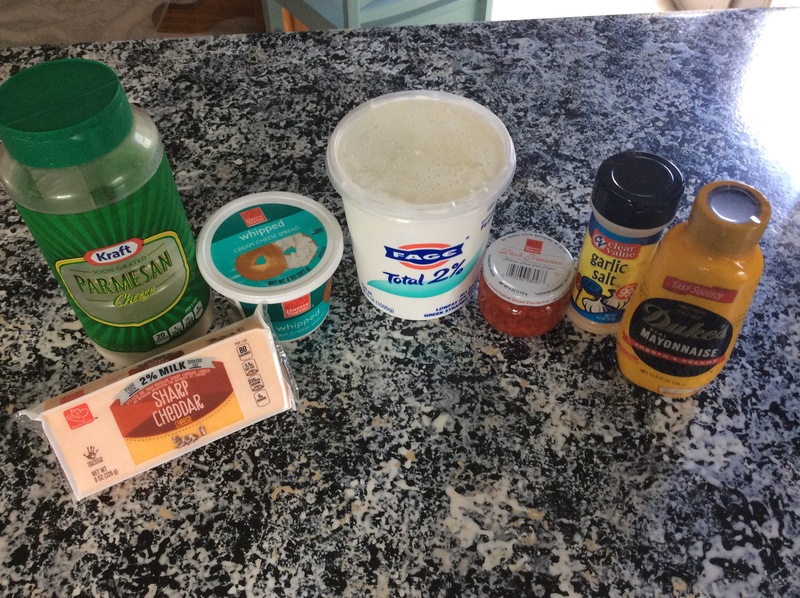 It is affectionately known as “The caviar of the South.” The basic recipe has few ingredients: sharp cheddar cheese or processed cheese (such as Velveeta or American cheese), mayonnaise, pimentos, salt and pepper, blended to either a smooth or chunky paste. Regional ingredients include cream cheese, Louisiana-style hot sauce, Worcestershire sauce, cayenne pepper, paprika, jalapeños, onions, garlic, and dill pickles.” They are a signature item at the Masters Tournament and a favorite of “Better Call Saul” and “Breaking Bad” character Mike Ehrmantraut (one of the best fictional characters of all time). 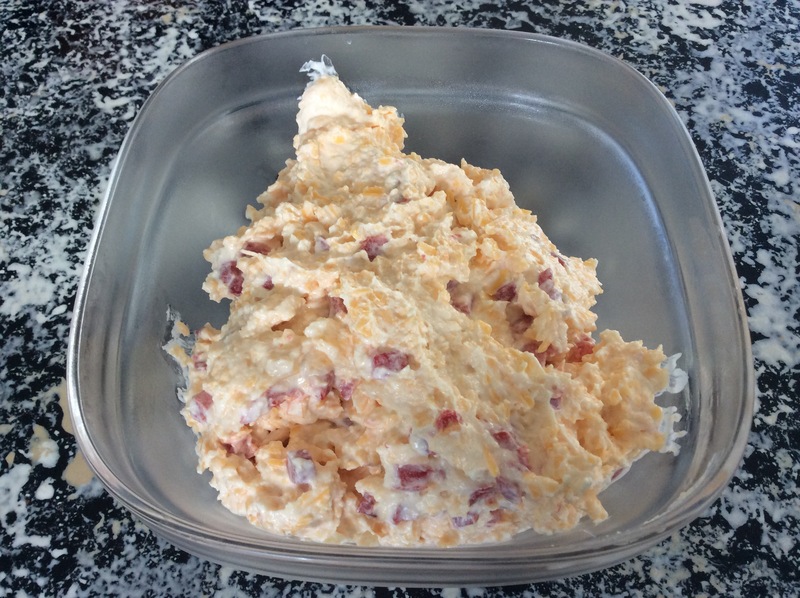 Despite my mother being from the south, I never really ate pimento cheese growing up (mom?…). I do love me some pimento cheese, though, and I’ve yet to meet someone who doesn’t like it. I can’ remember exactly when I was introduced to this delicacy, although I’m pretty sure my “faux” Aunt Lisa made it at our biannual family reunions at Gulf Shores and I was probably too picky to try it. Since moving to the south, however, I have had it in many forms: on a sandwich, on a grilled sandwich, on a burger (one of my faves), as fondu and as a regular dip. Whip cream cheese until smooth. Add in mayonnaise, sour cream, and garlic salt. Whip until smooth. Stir in remaining ingredients. Cover and refrigerate 30 minutes, or until ready to serve. Eat with crackers or on a sandwich. 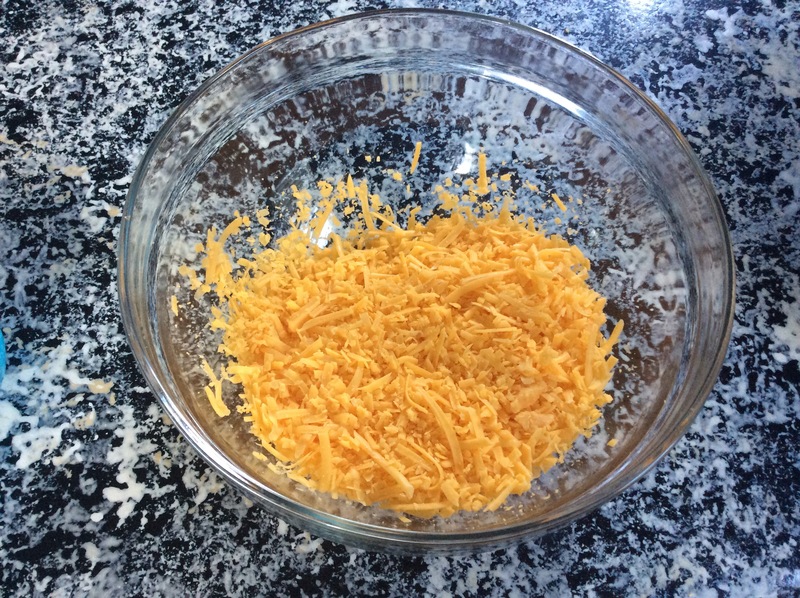 I recently purchased a food processor with a slicing/shredding blade and shredded my cheese fresh. It tastes so much better this way and takes about 5 seconds! Also it’s pretty fun.